All donations are welcome and make a difference! Thank you for supporting Holy Family School! As you may know, tuition alone does not cover the cost of educating our children. 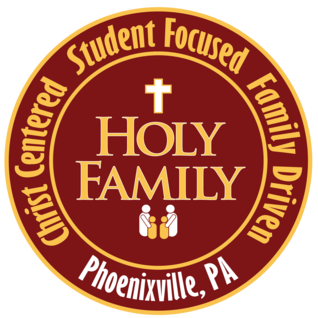 Like other faith-based schools, Holy Family School does not receive financial support from federal, state or local governments. The operating revenue comes from three major sources: tuition payments, student services income and fundraising. Your gift to the Annual Fund will help bridge the gap and allow us to continue to provide the highest quality Catholic education for the children at our school. There are many ways you can give! Online Donations can be made using ACH (automated checking account withdrawal) or credit card and you can specify whether you would like to make a one time donation or if you want to break your donation up over the course of several months - it&apos;s your choice! Your online gift to Holy Family School will be secure. If you have any questions or concerns, please contact the Advancement Office at 610-933-7562.